In Otto Flückiger’s collection I found some nice souvenirs from Rex Stewart’s late 1947 / early 1948 european concerts. 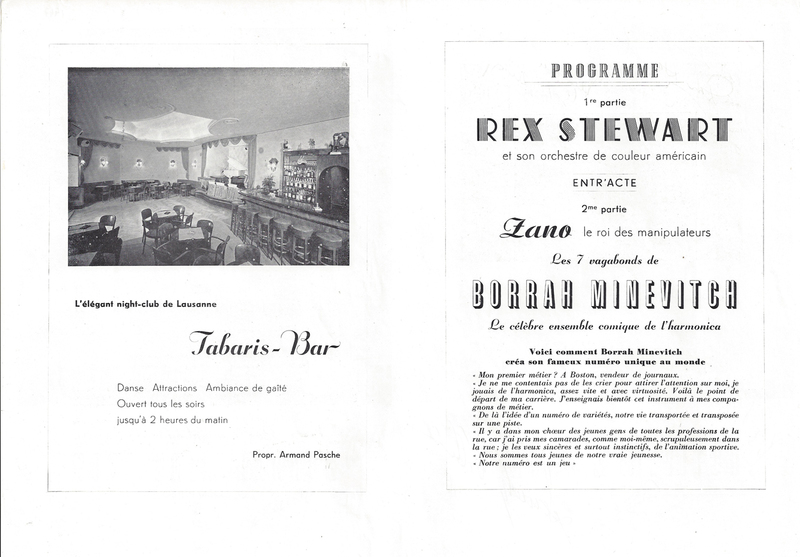 The most beautiful item is a program from the Tabaris-Bar in Lausanne (in the french speaking part of Switzerland), probably from November 1947 or from spring 1948. 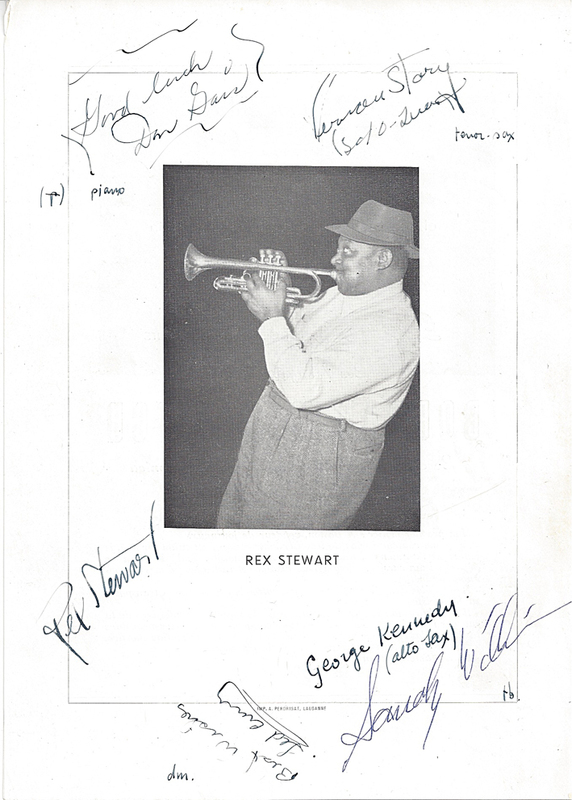 It has been autographed by nearly everybody in the band: Rex, trombonist Sandy Williams, tenor sax man Vernon Story whose only claim to fame is his short stint with Stewart, pianist Don Gais and drummer Ted Curry. Missing is only the bassist (if indeed there was one). 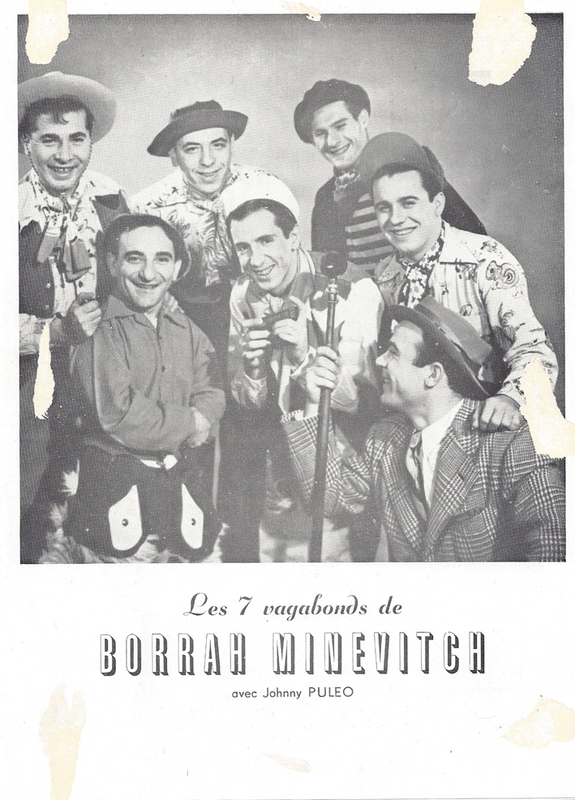 In fact the Tabaris’ management obviously thought more about Borrah Minevitch, as his picture is featured on the program’s front (Rex’s is on the back). 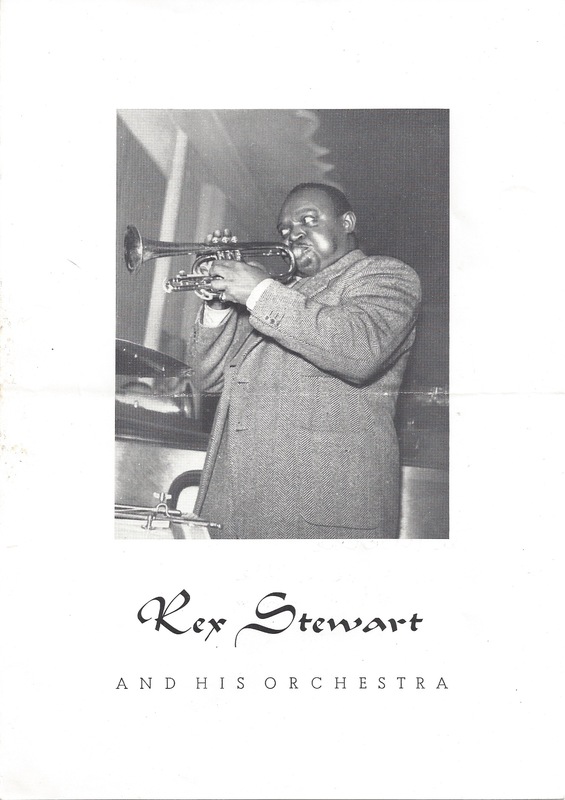 The second item I found in relation to Rex Stewart’s european sojourn is another program – this time it’s (almost) only about Rex. “Almost” because there are also piano solos by Bernard Pfeiffer mentioned. The program was printed in Lausanne, so it might well be also from the Tabaris-Bar (maybe after Minevitch went out or before he came in?). 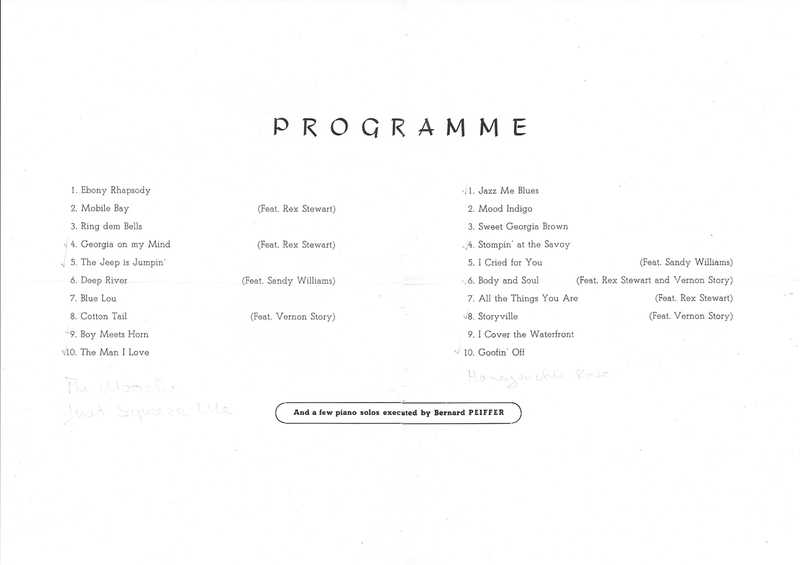 What you can not really see on this scan is that the original owner of the program marked the pieces played that night and also added pieces that were played but not announced in the printed program. So the band played (in an unknown order of course) Georgia on My Mind, The Jeep Is Jumpin’, Boy Meets Horn, The Man I Love, The Mooche, Just Squeeze Me, Jazz Me Blues, Stompin’ At The Savoy, Body And Soul, Storyville, Honeysuckle Rose and – probably as closer – Goofin’ Off. Whereas Rex had used John Harris on clarinet and alto in Paris, this review mentions alto saxophonist George Kennedy and makes a point of him being the only white guy in the band. That again points to indeed no bassist playing at least on the evening which was reviewed here. Yesterday the jazz world heard of the passing of trumpet legend Donald Byrd. But until now the only source for this sad news is Byrd’s nephew, confirmation from other relatives is still missing. If it’s true that Donald Byrd passed, he would have reached the age of 80. 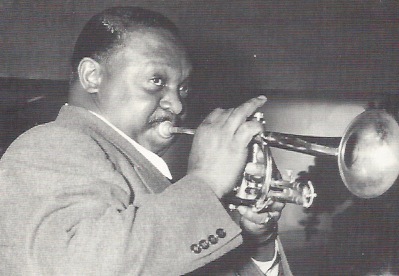 Not widely known – although mentioned in standard discographies – is the fact that Byrd started his career at a very early age. 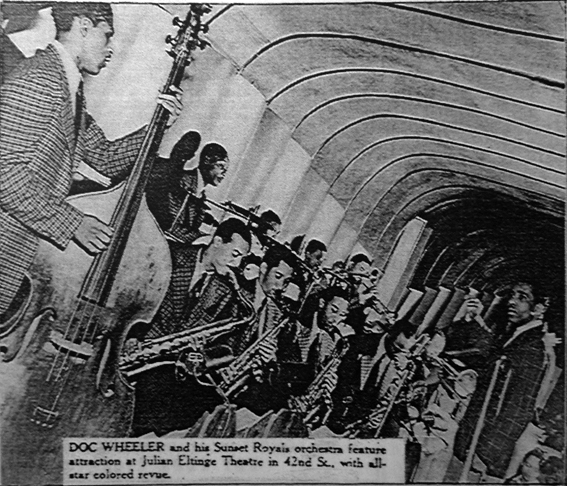 Byrd can first be heard on two 78rpm records by the tenor saxophonist Robert Barnes for Fortune Records, a company based in Detroit. 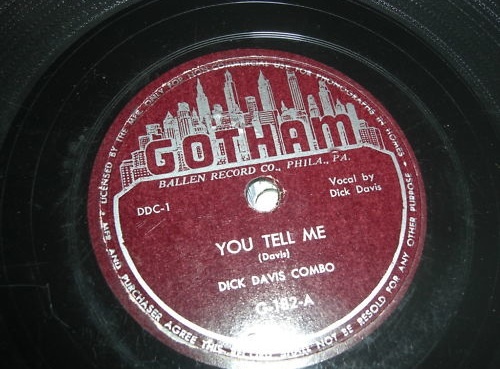 Although some discographies note 1947 for these recordings (Byrd would have been 15 then), it was probably recorded in 1949. judging from the date on which one of the resulting records was mentioned in Billboard. 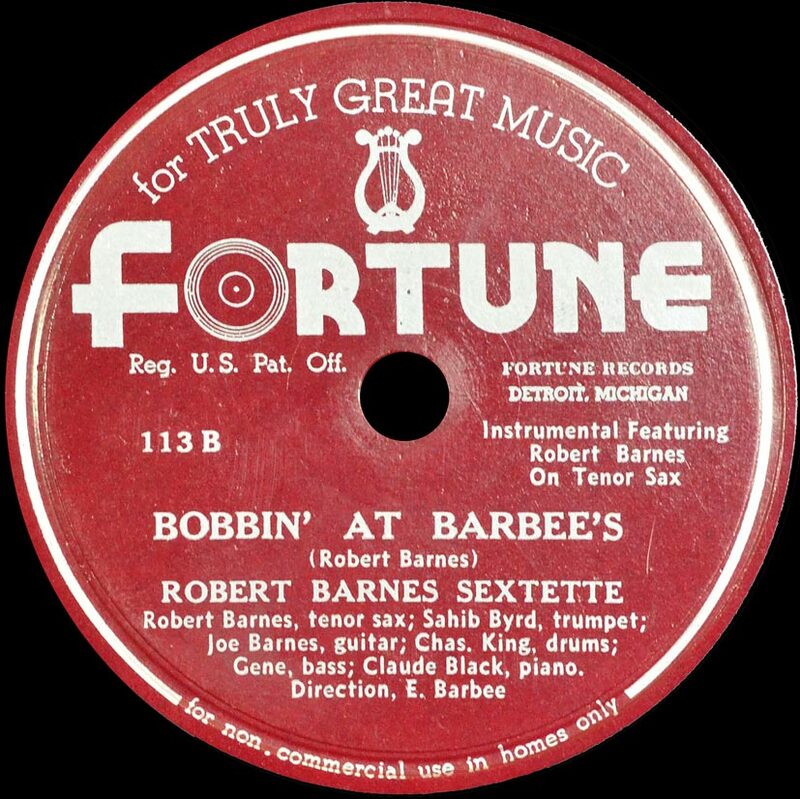 Although “Bobbin’ At Barbee’s” is designated as the b-side of Fortune 113, it’s the side with a solo by Byrd, so I put it in first place. Billboard (June 18, 1949) did not like it very much: “Just noise – hardly any music”, is all they had to say. 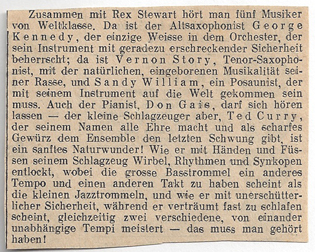 Page 2 of Don Redman concert review in swiss “Film, Radio Jazz” magazine No 1, 1947. 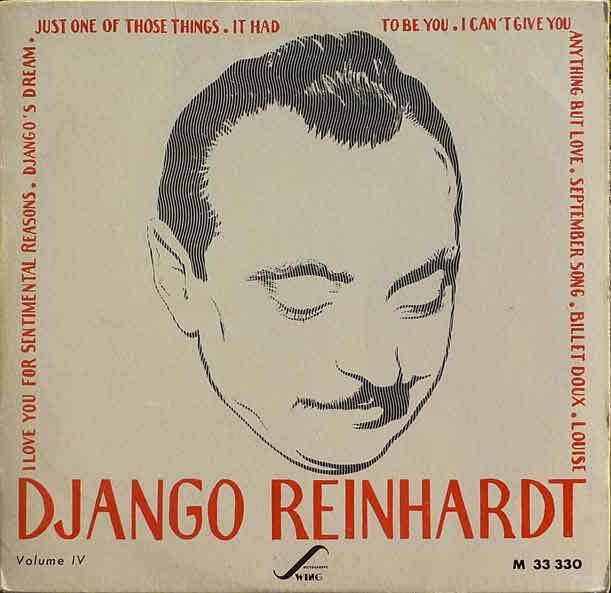 Ever since the day i wrote this post about the 1946 european tour by Don Redman and his orchestra, I had the pleasure to work with the very fine jazz researchers such as Leif Bo Petersen, Anthony Barnett, Howard Rye, Mario Schneeberger and Dieter Salemann to make the story complete. With the help of jazz fans and researchers from different european countries and the USA we tried to gather all the known information about this tour in one place. In doing so we were able to correct a lot of misinformation – discographical and otherwise – that has been around for some years now. Private as well as institutional collections allowed us to use their material including many rare photographs, newspaper ads, concert reviews and other related articles. Tyree Glenn in Geneva, Switzerland, photo probably by Freddy Bertrand. You can see the results of our work (and hear some very interesting music!) 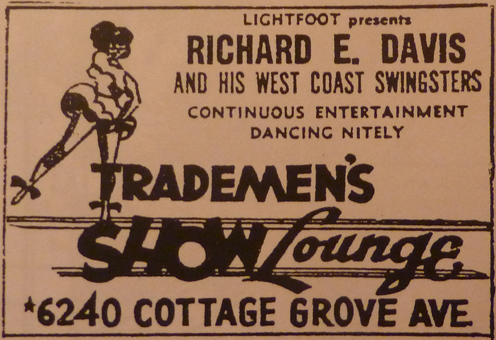 if you go to the Don Redman’s 1946 European Tour page. Of course this is a work in progress, If you feel that you have something to add to the story, it would be nice if you would use the comment section over there. 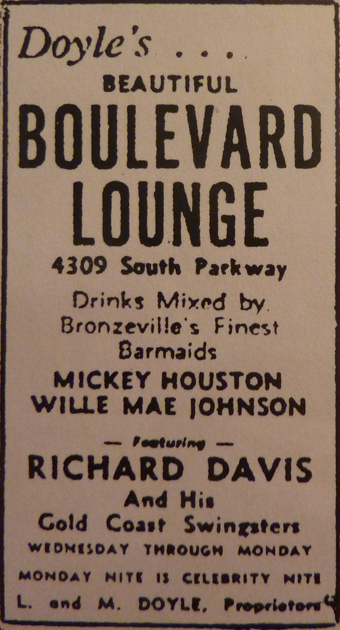 Ad for the Bern concert, unidentified newspaper. 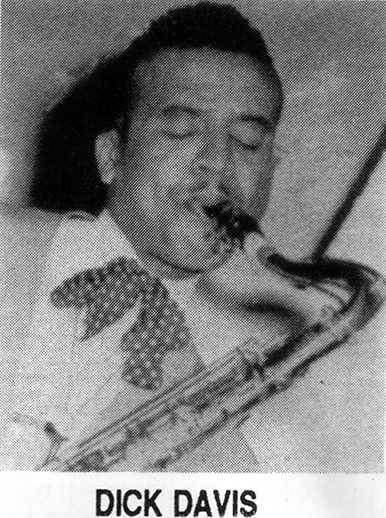 Swing M 33.330 was released sometime in the early fifties. Although I already have all the music on this LP (on a CD as well as on really badly stereofied LP on the Period label), i could not resist the beautiful design so I had to buy it. I wonder if Charles Delaunay designed this one? 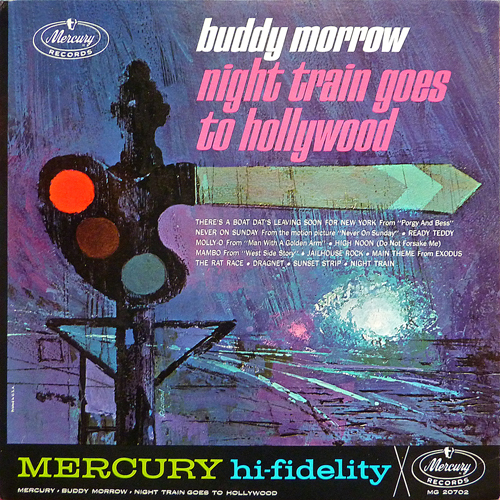 The owner of the Swing label was the son of artists, and some of the covers of Vogue and Swing 10 inch LPs were designed by him. So here’s some some music to go with the art, taken directly from the above copy of M 33.330: “September Song” (yes, I know it’s May right now). And please excuse the rough start! Gerard Leveque (cl), Eugene Vees (g), Django Reinhardt (g) Emmanuel Soudieux (b) Andre Jourdan (d). 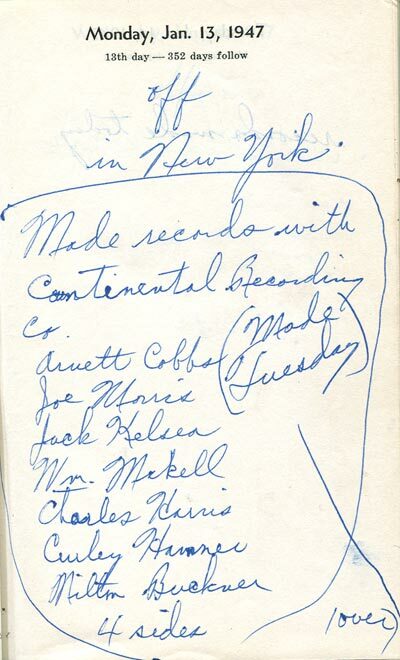 I have also added an unreleased 1947 session for Don Gabor’s Continental Records, featuring a Lionel Hampton small group with Arnett Cobb and others, but without Hampton. Does anyone have an idea who might have the masters for these Continental tracks– if any do still exist? I have also made discographical – and photographical – additions to part 2 and part 3. So it’s worth having a look there. I have noted the last changes on top of each part.